It goes without saying that end-of-life estate planning isn’t exactly fun. But while the topic may seem morose, depressing and maybe even a little scary, it’s also a critical aspect of managing your assets and protecting your family, which is why it’s surprising that nearly 6 out of 10 Americans are unprepared for the inevitable, according to a 2017 Caring.com survey. 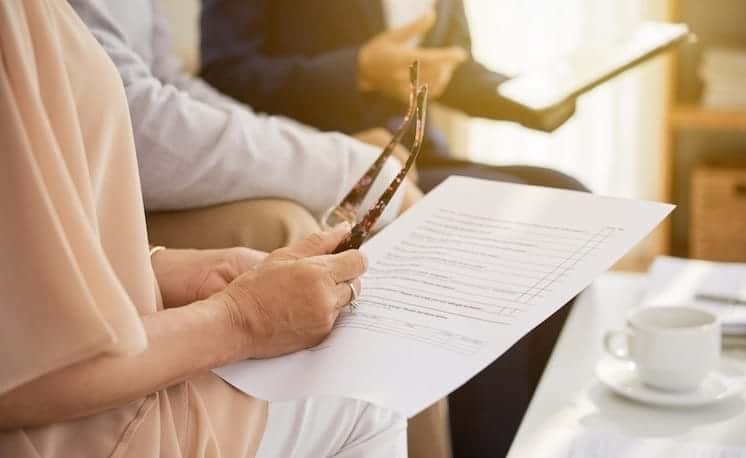 The survey showed that only 42 percent of U.S. adults currently have estate planning documents such as a will or living trust. And for those with children under the age of 18, the figure is even lower, with just 36 percent having an end-of-life plan in place. But here’s the good news: estate planning doesn’t have to be difficult or depressing, and the sooner you get started, the better off you and your family will be. Use this guide as your one-stop resource for everything you need to get started with estate planning. If you haven’t done any estate planning—i.e. finalizing legal documents to manage and pass on property and set out wishes for end-of-life matters—it should be on your list of priorities. But before you call an attorney or start drafting documents on your own, it’s important first to understand some of the basic arrangements involved in estate planning, and the protections and assurances they can provide. Estate planning is a process in which someone specifies how their money and other property should be managed during life and after their death. And it commonly includes a related issue: directions about the type of medical care they want to receive if they become unable to communicate those wishes directly. 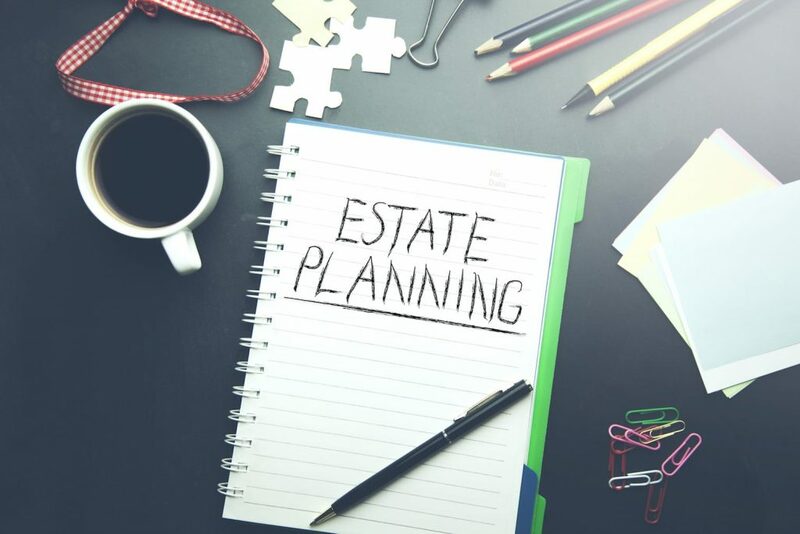 Estate planning documents will also often included specific final arrangements—such as whether to be buried or cremated—and more sophisticated estate plans may even cover deferring or decreasing estate taxes or closing up a business. While these matters require some soul-searching and forethought, estate planning is not the ordered and lockstep procedure that the term implies. In reality, it simply involves drawing up and finalizing one or more documents that give legal force to someone’s wishes for property management and medical care. When it comes to estate planning, myths and misconceptions abound. The main one is that it’s the province of only the very rich. But despite its lofty-sounding name, estate planning isn’t reserved just for those who have a lot of money or property. In the eyes of the law, an “estate” is simply all the property individuals own, both outright and jointly—including bank accounts, real estate, stocks and bonds, vehicles, jewelry, retirement accounts and even pets. And it includes interest and money to which they are later entitled, such as insurance proceeds and securities dividends. Estate planning is essential for a very specific reason: without it, decisions about your medical care, property and final arrangements will be made without your input. Medical decisions will fall to the treating doctor or hospital. Property will be divided and distributed at your death according to the hierarchy of survivors specified by state law. And final arrangements will be carried out according to the whims of relatives or in accord with community customs. The plans these people or institutions put in place may not match the wishes of those for whom they’re making the decisions. In deciding whether you need to do any estate planning (either for yourself or your aging parents), the key questions you should answer are whether there is any property you would like a particular person or charity to receive after deaths and whether you have strong opinions about your medical care and final arrangements. If so, it’s usually wise to get some simple documentation in writing to provide legal assurance that those wishes will be enforced (which are outlined below in further detail). 1. What are my assets and what is their approximate value? 2. What people or organizations do I want to have these assets—and do I wish to give them away during my lifetime or after my death? 3. Who should manage these assets during my lifetime if I become unable to do so, or after my death if management is needed? 4. Who should be responsible for taking care of any minor or dependent children if I become unable to do so? 5. Who should make decisions about my medical care and finances if I cannot make them? 6. After I die, do I want my remains to be donated, cremated, scattered or buried? Now that you’ve answered the above questions, it’s time to start thinking about the legal documents you may need to protect the decisions you’ve made about your estate. 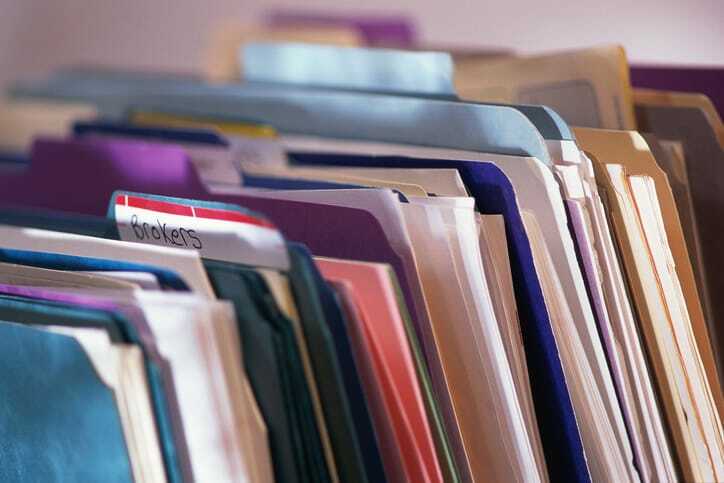 In addition to wills and trusts (which are described in detail in the following sections), below are several types of estate planning documents you should consider, depending on your individual circumstances. When property, such as a house or bank account, is held in joint tenancy (also called tenancy by the entirety), it will pass automatically to the named survivor. Like living trusts, property in joint tenancy doesn’t go through probate. This is a good setup if the survivor is a spouse, close relative or close friend who can be trusted not to sell or squander his or her share of the property. Those who have an account in a bank, savings and loan or credit union may be able to designate a beneficiary to automatically take the account funds at their deaths; these are called payable-on-death accounts. A similar legal arrangement, a transfer-on-death designation, allows them to register stocks, bonds and brokerage accounts so that a named survivor takes them automatically at death. Both methods avoid probate. This document allows you to name a trusted person, called an attorney in fact, to handle your financial matters if you become unable to handle them on your own. Durable powers of attorney for finances are mainly preventive documents. If you don’t have them and you become mentally incompetent, a judge will have to appoint someone to manage your finances for you—even if the appointee is unfamiliar with you or you money matters. To learn more about this document, visit our Guide to Power of Attorney for Finances. These documents, also called advance health care directives, allow you to instruct healthcare providers about what life-prolonging treatments you do and don’t want if you’re no longer able to express yourself—and to name someone to oversee your care to be sure those wishes are enforced, sometimes in a separate document called a durable power of attorney for health care. Although state laws differ slightly, these directives are usually enforced only if someone is close to death from a terminal condition or in a permanent coma. Learn more at our Guide to Advance Health Care Directives. This document will give legal force to your wishes to be considered for body and organ donations, and it can also state your preferences to be buried or cremated. As with other types of documents that take effect after death, you may also choose to name a person to oversee that the stated wishes are carried out as written. When most people think about estate planning, the first type of document that probably comes to mind is a will—and for good reason. Wills are generally the centerpiece of an estate plan, allowing people to direct how their property should be divided and who should get it after they die. Anyone can create a will with an inexpensive software package or, if there are significant assets or a complicated plan for dividing your property, you can pay an attorney several thousand dollars to draft one. In either case, it’s money well spent. A will is the most basic estate planning document there is—and for some people, it represents the only estate planning they want or need to do. But it’s important to understand what a will is and what it does (and doesn’t) cover. What property you wish to leave to family, friends and organizations. Who you wish to act as guardian and manage property for any dependent children. What person should act as a personal representative or executor to manage your estate at death, pay debts and taxes, and distribute remaining property as you specify. Whether you want to cancel any debts still owed to you at death. Expect to owe estate taxes when either or both of them die—which is most likely if they own property worth $2 million or more. Want to have some control over what happens to their property after their deaths, such as specifying that a house goes first to their children, then to their grandchildren (after their children die). Have any child who has a special need or disability, and they want to provide management for property that goes to him or her. Have children from one or more prior marriages who are likely to conflict with a current spouse. Fear that someone may claim their wills are invalid because they were mentally incompetent or subject to fraud or duress when writing them. For those with such concerns, they should consider setting up a trust instead of—or in addition to—a will. Trusts are explained in more detail below. In an individual will, you can name a person or institution to act as personal representative, called an executor in some states, who’ll be responsible for ensuring that the will is carried out as written and that the property is divvied up and distributed as directed. It’s also wise to name an alternate in case the first choice is unable or unwilling to act. beneficiaries for such bequests are children and other relatives, but they may also include friends, business associates, charities or other organizations. In fashioning their wills, most people assume that the beneficiaries they name will survive to take the property they’ve specified for them. The most thoughtful wills provide for what should happen if those beneficiaries don’t survive—either by naming a backup recipient or indicating that the person’s spouse or children should take the property instead. After completing the checklist above, here are the next items of importance when planning your will. 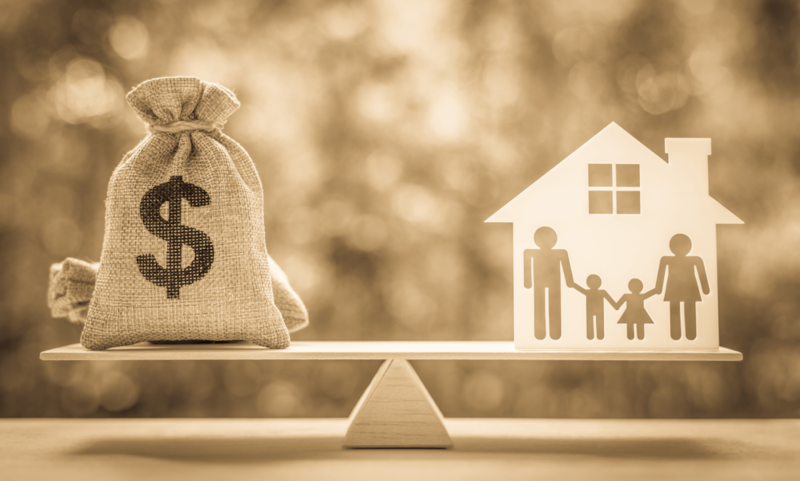 If you want assets divided among children, charities, or other beneficiaries, the will should note precisely what property is included in that pool. It should also specify whether assets are to go directly to beneficiaries or whether they’re to be sold and the value divided among the beneficiaries, either equally or according to stated percentages. Business assets are often separate from personal assets—and most business owners have very specific ideas about what should be done with them after their deaths. If you don’t have a written plan covering the windup of your business, you should see an experienced estate planning attorney to ensure that your wishes are clearly indicated in your will. Specify how debts, expenses and taxes should be paid. The will should spell out your wishes regarding how to settle debts and final expenses, such as funeral and probate costs, as well as any estate and inheritance taxes. Usually a specific source, such as a bank account, will be tagged to cover these costs. A nice added touch is that people making wills can use the documents to relieve those who owed them money from the responsibility of paying that debt—along with any interest that accumulated on it—to them or their survivors. If you name someone to keep your house, you should list any specific instructions for its care and upkeep. Since the law considers pets to be property, the best way to assure a good home for yours is to leave the animal to someone named in the will who has agreed to give it a good home. Many people also leave that person an amount of money to help cover the caretaking expenses. We’ve all watched that scene in a movie in which the family gathers around to hear the reading of a loved one’s last will and testament. The document is intoned, everyone listens solemnly, and we assume everything’s taken care of. So it’s no wonder that most Americans write a will to indicate their wishes regarding inheritance and leave it at that. But the truth is that for many American families today, a trust— legal arrangements that give a person or a group of people the right to hold and manage specific assets—is a much better way to protect your estate and make sure that your money, property, and other possessions go directly to those you wish to inherit them. Has set up most property ownership in joint tenancy or pay-on-death transfers. Owns very little valuable property. Doesn’t have a person he trusts to oversee his property. Is involved in divorce proceedings, as some state laws bar creating such trusts once a divorce is filed. Should you establish a trust? When a loved one dies without having established a trust, many families are dismayed to find themselves with a host of unexpected expenses and time-consuming hassles. (And yes, these situations can happen to anyone—emergencies occur at every age). Here are five risks you need to be aware of that might necessitate a trust. The number-one reason to establish a trust, experts say, is to smoothly pass on your home and any other real estate you own. When property has been placed in a trust, it is transferred at death directly to the designated “successor trustee” via a relatively straightforward process that can be accomplished within a few months, if not weeks.Without a trust, even if your loved one specifies in her will that her home is to go to you, that transfer can’t be done directly but must go through the court. Why is this? Because any estate worth more than $100,000 must go through a court-supervised verification and distribution process called probate that will tie up real estate and financial transfers for much longer. And given the value of real estate in most of the U.S., by the time the value of a home is added to savings and other assets, your family will be over this limit. No question about it, the probate process is a complicated one. Even when there’s a will, property must be inventoried, real estate appraised, relatives notified and debts paid, all before the court distributes the property. This typically takes somewhere between 9 and 18 months, but some cases drag on longer. Because you’re subject to the court’s schedule, there can be delays while you wait to get hearings or for orders to be approved and processed. If there is no will (which is known as dying “intestate”), there are even more steps because the court has to decide who inherits based on a hierarchy of next-of-kin starting with spouse, moving on to children and then to other relatives. However, when you establish a trust, things work quite differently. You’ll place savings and investment accounts and other significant assets into the trust, as well as your home. And like your home, these will pass directly to your trustee. As you can see, while you’ll spend a bit more time up front setting up a trust, your loved ones will save that time in multiples later on, as your assets are distributed. You’ll still need a will when you have a trust, but it covers mostly personal property and smaller items. Keep in mind that where you live, the size of your estate and many other factors will affect what’s best for you. Probate is not only time-consuming and extremely frustrating, but it can be expensive as well. The rules governing estate distribution are both strict and complicated, and a large number of people including accountants, appraisers, attorneys and the court itself are involved in the verification and accounting process. And as we all know, legal fees tend to be steep. Probate costs are calculated using a complex schedule in which both attorneys and the court itself get a set percentage of the estate’s total value. These start at 4 percent (each—both for attorneys and for the court) for the first $100,000 and descend from there, typically averaging about five percent of the entire estate. So for an estate that’s ultimately worth $400,000, these fees would generally run to $20,000 or more; for an estate worth $1,000,000 (not as much as it seems if you live in an area with high-value real estate, such as California or New York), fees might run to $45,000 or more. The fees are deducted from the estate before it’s paid out, so they cut directly into the inheritance. There are fees associated with a trust as well, but they tend to be quite a bit lower. The trustee who administers the estate typically charges 0.75 to 1.5 percent; sometimes more for big estates. However, trustee fees are on a sliding scale, and a trustee who’s a family member administering a small estate may choose to take a smaller percentage to save the estate money. While a will is probated, the assets of the estate are frozen so the court can take an accounting of them. This means that there won’t be money available to pay any bills or expenses incurred during this time, such as funeral costs and medical bills. Utilities and maintenance costs for a parent’s home would still need to be paid out of pocket for the length of probate, even though the home will not yet have been transferred to the heirs. How long does it take before money is freed up? It depends on the estate, where you live and many other factors, but typically at least several months and often much longer. In the U.S., inheritance taxes aren’t a big issue for most people, since they apply only to estates worth more than $5.4 million, and only 0.2 percent of all Americans fall into this category. However, if you do fall into this percentage, there’s a different kind of trust called an irrevocable trust that may protect at least some of your property from these taxes. The good news is that it’s not as hard as most people think to set up a living trust. Whether you’re drawing up a will, creating a trust or doing both, you’ll want to work with a trusted estate lawyer who will guide you through the process. Like a will, a trust is not a universal, one-size-fits-all solution to everyone’s estate planning needs, and it’s important to understand the nuances of creating a trust. One general difference between estate planning trusts is that some are “revocable” (meaning that the individuals can change their terms at any time, as long as they are mentally competent to do so) while others are “irrevocable” (they can’t be changed or amended once created). These days, the most common type of estate planning trust is a revocable living trust, which allows people to enjoy and control the trust’s assets during their lifetimes and then automatically shift ownership of the property in the trust to a named trustee or trustees at death. The arrangement operates much as a will does, except that upon death, the trust property won’t be processed through probate—which, as we’ve seen, can add administrative and legal costs and also delay the time it takes for the property to transfer to the beneficiaries. 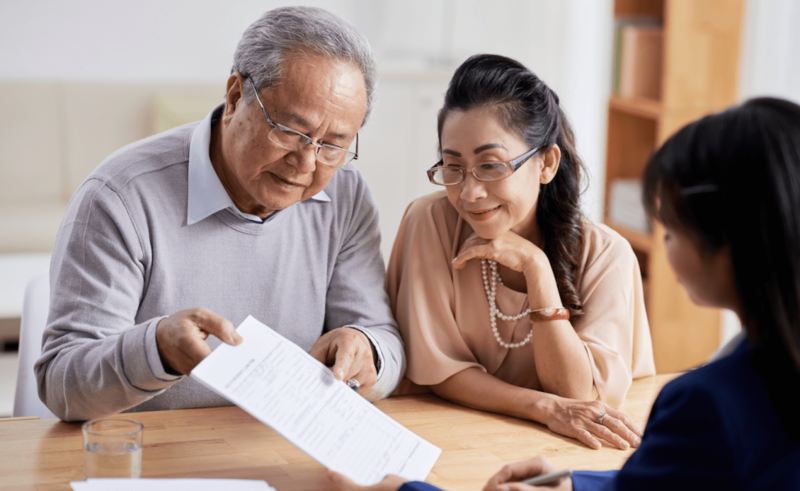 To begin, a revocable living trust is one of the single most important documents for older adults—or anyone with assets—to have in their estate plan. They don’t need to be rich or have vast assets—a life insurance policy, checking account, house or any asset of value merits establishing a revocable living trust. There are other important advantages to this type of trust. “While a will is a matter of public record, a trust isn’t. You may have an issue in your family that you don’t want the public at large to know about, but anyone can get access to a recorded will,” says Ashley Biteler, a trusts and estates attorney in Chesapeake, Virginia. What’s more, a revocable living trust lets a trustee control who inherits what—and when. Revocable living trusts also give elders control over the distribution of their assets in a way no other legal vehicle can. “A lot of parents are worried about a child’s money-management ability, or they’re concerned that a child’s marriage seems rocky. Leaving them their inheritance in trust is a lot safer than leaving it to them outright,” says Biteler. Why? A revocable living trust offers what Biteler calls “creditor and predator protection.” A properly drafted trust ensures that the assets can’t be tapped via a lien to pay a beneficiary’s debts, nor will a divorcing in-law be able to lay claim to the assets. It can also prevent children from a first marriage from being intentionally or unintentionally disinherited. For example, if your mother dies and your father remarries, typically your father will hold his assets jointly with his new wife. Without specific provisions, his assets would pass to his second wife at his death. She likely has a will that would pass those assets on to her own children, not her second husband’s children. A revocable living trust, in which your father would have named specific beneficiaries, avoids this potential problem. Biteler says many people are initially concerned that they’ll lose control of their assets if they set up a revocable living trust. “That’s a myth,” she says. “As long as they’re mentally capable, they’ll have complete control over their assets.” This is accomplished by naming the grantors—the people setting up the trust—as the trust’s primary trustees. It’s only when those trustees choose to relinquish control, or when they lose the capacity to manage their own affairs, that the “secondary trustee” takes over. Biteler recommends that a person’s doctor be the one who decides when he or she has lost that capacity. Otherwise, it’s the trustee’s decision to decide when control transfers. If someone is concerned that they’ll lose control of their trust too quickly, they may have chosen the wrong person to be his secondary trustee. “If that’s the concern, then that person shouldn’t be the senior’s agent,” Biteler says. He or she should name someone they trust completely. That doesn’t have to be a family member. In fact, in some families it makes sense for a trusted family friend to fill that role instead. In rare situations, Biteler says, people don’t have anyone they’re comfortable appointing as secondary trustee. In that case, nonprofit organizations such as Catholic Charities or Jewish Family Services can provide someone to serve in this role for a fee, which would be paid from the estate. Once the last surviving trustee dies, it’s this secondary trustee who carries out the primary trustee’s’ wishes, making sure assets go to the beneficiaries named in the trust. A revocable living trust alone isn’t enough to avoid probate. Once the trust is constructed, it needs to be “funded.” This means the people creating the trust need to retitle their assets, such as real estate or brokerage accounts, as belonging to the trust. The trust itself is like an empty box; its value is determined by what’s been put inside it. A trust can only avoid probate to the extent that assets are in it. “It doesn’t do any good to have a beautiful trust with nothing in it,” Biteler says. Generally, all of the person’s assets should be placed in the revocable living trust. The exception would be an IRA, which doesn’t go into the trust; instead, either the trust or a specific individual is named as a beneficiary of the IRA. Life insurance is usually handled in the same way. A financial planner and attorney can and should assist the trustee in transferring his assets into the trust. When creating a revocable living trust, a person may find the help he needs in a good self-help book, software package or forms he’s found online. One caveat is to make sure that such resources are state-specific and current, as state laws controlling living trusts differ and also change over the years. Some people prefer to go directly to an attorney to draft and finalize the living trust document for them. If your family member wants to go this route, look for a lawyer who has experience in estate planning. As a third option, your family member may be most comfortable learning about living trusts by reading a book or reviewing software, then doing a draft and hiring an attorney who will agree to review it before it’s made final. “People think estate planning is static, but it’s not. Trusts should be reviewed and revised, just like your investments and your insurance,” Biteler says. Every five years is a good benchmark. Laws change, and family situations and assets may have changed, too. The trustee may have changed their mind about whom they want as their secondary trustee. Secondary or contingent beneficiaries may have died or gone through a divorce. New grandchildren may have been born. Updating their trust ensures that their assets will go to those they intend, no matter what the law or circumstances. These days there are numerous books, websites and software programs designed to make the estate planning process easy and accessible for a wide range of people. And if your assets are relatively modest and all you need is a will, you might be able to navigate this landscape on your own (perhaps with the help of a friend or family member). But if you have assets of several million dollars or more—or you want to set up a revocable trust—you should retain a trusts and estates attorney who specializes in drafting wills , revocable and irrevocable trusts, and related tax planning. Should I hire a Trusts and Estates Attorney by the hour or at a flat rate? Drawing up a trust is an area where experience counts, but that doesn’t mean you need to go to a large national law firm. On the contrary, many large firms have dropped this practice, and some of the savviest trusts and estates attorneys have their own firms or practice in small and moderate-size law firms. If you’re unsure how to find the right lawyer, start by asking friends for recommendations. Who have they used—and liked? You can also ask other lawyers who they would use. When it comes to legal costs, some attorneys bill by the hour, while others charge a flat rate for a package of services. Typical legal fees run from $200 to $500 an hour. Urban areas will likely have higher rates, and attorneys at larger law firms usually charge more than those at smaller law firms, although that’s not always the case. An average flat fee for a basic revocable trust plan may run from $2,500 to $10,000, depending on the complexity of the trust and the size of the estate. Flat fees, however, aren’t necessarily a better deal than hourly rates. And the priciest lawyer isn’t always the best. Ask at the outset for the lawyer’s rate. 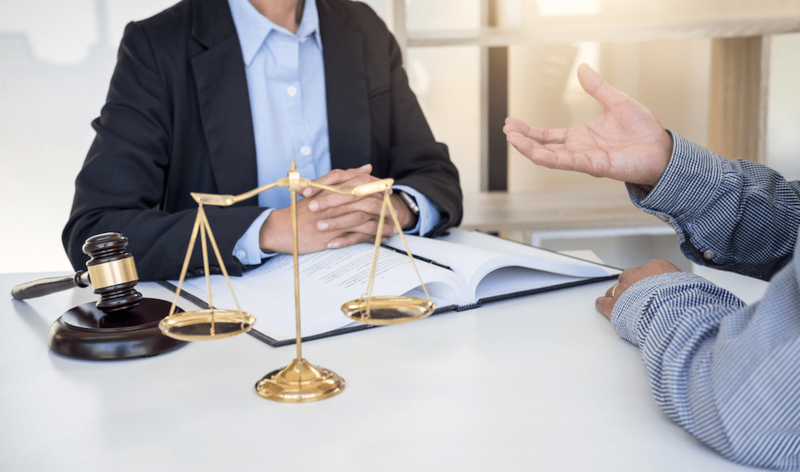 It’s better to know upfront, so that neither of you wastes the other’s time if there’s a huge discrepancy between what an attorney charges and what you’re willing to pay. Generally, the more assets a person has, the more complicated their estate is likely to be, and the more it will cost to put together a thoughtful estate plan. Most lawyers offer an hour-long complimentary session to introduce themselves and their services and explain some of the process. Even if you end up paying for that hour, it’s a good investment. For Feldman, the most important issue is compatibility. If a couple is consulting the lawyer jointly, “both spouses should feel they’re getting equal respect in the relationship,” Feldman says. Consider personality types as well. If one spouse is, say, is an impatient person, they may not want an attorney who considers every question a chance to rehash an arcane interpretation of the law. On the other hand, if the other spouse feels the need to understand the fine points, they shouldn’t hire an attorney with a “just let me handle these details” manner. If you feel that the attorney is a good match in terms of style, pricing and comfort with risk, you’re ready to hire him or her. Expect to pay for at least some of the work at the start, and to sign an engagement or retainer agreement that outlines what services will be provided. In many states, the language in this agreement is mandated by law or the state bar association. The agreement should specify two important points: the duty of confidentiality and the duty of loyalty. For example, an attorney cannot keep a confidence from one spouse while still fulfilling his duty of loyalty to the other spouse. To ensure that loyalty, spouses will generally be asked to waive confidentiality between themselves and the attorney. Either before or after the first meeting, at which a retainer or engagement agreement will be signed, your attorney will likely give you some homework. Most attorneys use a worksheet, anywhere from five to seven pages up to 30 pages long, that’s designed to help identify your goals, raise issues, and gather data on your estate. This should take about half an hour to 90 minutes to fill out. It’s crucial to fill out this form completely and accurately. “Most people undervalue what they’re really worth,” says Darlynn Morgan, a trusts and estates attorney with the Morgan Law Group in Newport Beach. Some questions may feel intrusive, such as whether there’s any alcohol or substance abuse in the family. This may, however, affect how you hold assets in trust for certain beneficiaries. “Understanding family dynamics influences the advice I give my clients,” says Morgan. As a starting point, Feldman suggests bringing in income tax and gift tax returns from the past several years, as well as any previous versions of a will. Some estate attorneys will charge an extra fee for consulting on how to help minimize estate taxes. Currently, if you have a net worth of $2 million or more, the assets in excess of $2 million will be subject to the federal estate tax rate, which is 46 percent. With the most basic planning, a full $4 million can be sheltered from estate taxes. Additional planning, which will include advice on how to minimize or eliminate such taxes by transferring assets to an irrevocable trust, for example, can add as little as $1,000 to the legal bill, while potentially saving your heirs tens of thousands of dollars, making it a worthwhile investment. Some wills and revocable trusts require more than one draft. Often, this depends on how well you’ve communicated your wishes to the attorney. A revocable trust document may be as long as 40 pages. Your attorney should provide a one-page flow chart, and then a five- to 10-page summary of what’s contained in the document. Feldman gives his clients charts that show how their assets would flow to beneficiaries under various hypothetical circumstances. Read these carefully and ask questions. If you’re not comfortable with certain aspects of the plan, ask for them to be changed. Once the revocable trust and will are finalized, decide who will keep the documents and where. The attorney will give you instructions on how to fund the trust by transferring assets into it and changing title on accounts and property. Perhaps the most important thing to remember is that a will and revocable trust can be changed and modified. “It doesn’t hurt to review them every time you do your tax returns,” says Feldman, particularly if you’re trying to reduce your estate through gifting. By law, each parent in a family can give away as much as $12,000 a year—$24,000 if both parents are living—per beneficiary before such gifts are taxed. For instance, if you have three children and seven grandchildren, a simple gifting program can reduce your estate tax exposure by $240,000 per year without any assets leaving the family. “If you have an accountant who is thoughtful, knowledgeable, and creative, that person can help you decide when it’s time to call your lawyer,” Feldman says. Good lawyers will communicate with a trustee periodically by letter to remind him of the terms of his will and inquire whether he has any interest in making changes. They aren’t trying to drum up fees; they simply know that circumstances change and that wills and trusts need modifying. If your lawyer doesn’t do this, you should add “review will” to your own tickler file when tax time rolls around.